At Award Expert, we do our best to be discerning. If a client tells us they want economy class but we see a great deal for business class, we are going to alert them. A long-term client asked me to book a one-way ticket from Sydney, Australia to Chicago for his teenage son. We ended up booking a revenue ticket on United in economy class for about $839. Something looked suspicious…but united.com is reliably unpredictable and I took the offer. The credit card was charged and sure enough, the Sydney to Los Angeles segment was confirmed in “United First” (D-Class). United doesn’t offer first class anymore and it should have said United Polaris Business, but the D fare class was correct. I was unable to assign seats. Personally, I think United should have honored the upgrade as charged. But my client (probably wisely) decided it wasn’t worth the battle and United’s compensation offer was generous enough. I do believe United, and airlines in general, should be forced to honor mistakes since consumer’s are forced to eat their own mistakes if not caught nearly instantly. Watch out for these glitches on united.com. If they seem too good to be true, they probably are. Always take screenshots. This happened to me with an AKL to SFO flight that went onward to LAX. You’re lucky you got a $100 voucher for the confusion — I tried to get this with United, and while they apologized for the mix-up, but said they couldn’t offer me any compensation for their mistake. It was clearly a “mistake fare” and you wouldn’t have a leg to stand on otherwise. I would not have been so forgiving to United. I understand it was for a client and you do what the client wants but for me – not OK. The big question here is was the ticket was actually issued? You said “Upon issuing the ticket” but that’s a figure of speech since instant upgrade offers show up right after purchase and UA doesn’t do instant ticketing. If the PNR was really ticketed before the “deal” was corrected, then you have a strong case and UA ought to honor the deal. Well, really UA ought to anyways since that was the advertised price! I’ve taken advantage of quite a few good deals over the years. Thanks United! As much as you have screen shots, I think the DOT will side with Untied on this one saying that it’s clearly an error and any “reasonable” person would have seen this is a pricing error. Since you got E+ on the entire segment for free, you are still way ahead. What gave this away to me as an error was the naming of the SYD-LAX upgrade as “United First” and LAX-ORD as “United Polaris Business”, along with the prices of $365 and $7,499, respectively. I’m about as technologically inept as they come, so I have no idea how this would happen, but looks like a pretty clear transposition error to me. You also had a confirmation showing a correct fare code but nonexistent class. Therefore, I’m not sure how far you would have gotten if you tried to escalate. UA would probably argue that you tried to buy an upgrade that didn’t even exist, though I suppose the counter to that would be they should have never charged the credit card to begin with if that was the case. In any event, if I were the client, I probably would have asked you to try for $300 in funny money, but in the end I’d take the free E+ upgrade and call it a day. This happened to me too! I took screen shots too! I also was able to REPLICATE it two hours later when I talked to the third person on the United 1K line who was “trying to help me”. Not helpful at all, they just told me they couldn’t honor it and refunded my money. That was it. It wasn’t even as egregious a price difference as this (it was an offer to upgrade international flight to Europe to first for $800 or something and since they flew a three-class plane it seemed plausible). No compensation or apologies. I was not pleased and wrote a strongly worded email to United about the customer service. The representative had the chops to complain to ME that she could get fired if she went ahead and honored what I bought. I was so not impressed. I booked a ticket on Priceline for travel between LHR and CDG on Air France. The fare said it was First Class, the confirmation email from Priceline said First Class, but when I tried to select seats, Air France said it was economy class. Priceline said they sold what Air France told them, Air France said it was Priceline fault. In the end, Priceline gave me a 30% refund for my ticket. …these “customer service” agents, for every airline and including those on twitters, try to suggest that they’re honest brokers “trying to help” but in reality are just out to screw the consumer and save every cent they can for the airline. They’d sell their grandmothers for sixpence. I think a pretty fair result. Hard to stick them and I like the economy plus upgrade and voucher. If the ticket was issued from Australia in AUD then you may have had a case with Australian Consumer Law protections, false advertising and bait-and-switch advertising have big penalties from the ACCC. Why would they honor that? It’s obviously a mistake and they made you “whole” by refunding you the charge, then comped E+ and $100. If it was a published business fare for $800 they’d cancel it and refund it the same way and you wouldn’t be talking about it. Also, come on, you knew the minute you saw polaris on domestic and first on international that it was a glitch. You ain’t new here. With united.com, you never knew. That has been my experience. Like you I think United should have honored the upgrade they sold. That being said given that this was a glitch they addressed quickly I’m ok with how they ultimately handled it. Its quite fortunate you had the evidence you did because without it I think United would have refused to address the issue at all. What this really points to is the need for a uniform set of rules to address errors on both the customer and the airline side of the house. For example both parties should have 48 hours to address any errors (mistake fares etc.) and after that they are final period. So you go to your Chevy dealer and see an offer of a Tahoe for $15k. Clearly it’s a mistake, it’s only the Chevy Cruze for $15k. Do you now expect Chevy to sell you the $65k Tahoe for $15k? No, because it’s clearly a mistake. 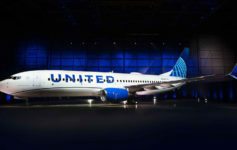 United admitted the issue, refunded the charge and gave you a free upgrade to Economy Plus. People always act as though airlines “owe” them more, over other businesses. They don’t. @Dave — Actually there is a very sophisticated and well developed body of law for when a contract can be rescinded for mistakes. Unlike your Chevy example, this was a contract. Not merely an offer. There was offer, acceptance, and the price (consideration) was paid. The law of most states would not allow a party to avoid a contract for a unilateral mistake and generally holds parties to their bad bargains. Airlines get special rules. They are regulated so in a decision that makes little sense to many they cannot be held to state laws. Even putting the law to the side, Matthew is right. Consumers are not allowed to avoid their unilateral mistakes in contracting with airlines. If you accidentally click on the $2,000 ticket in first on AA for LAX to PHX within 7 days of travel instead f the $49 ticket, you are stuck unless you get mercy no matter how obvious it might be that you would not have meant to pay $2,000 for this seat. @Larry – good to know. But to me, common sense would say it’s an error. Would I try my luck and see if I get away with it? Probably, yes. But if it got rescinded, then so be it. Matthew still did well – they admitted error, refunded him and gave him Y+ upgrades the whole way for free. That’s not too bad, imho. I agree the compensation they offered him is pretty good. I think the ultimate question on these issues what would the ultimate cost of allowing enforcement of mistake fares be for customers in terms of convenience and price. While it would be a great benefit for the travel hacking community who are really on the lookout for flying in first class at Y prices, it’s not 100 percent clear to me what a different DOT rule would mean for consumers generally. Would it change the way we book tickets? Would it have other unintended consequence? Hard to say. You see how badly airlines play games in EU with the compensation rules there and you kind of wonder whether things would be any better or even worse.